New Vinyl Siding - Performance Roofing, Inc. | Save up to 20% TodayPerformance Roofing, Inc. Performance Roofing offers beautiful New Vinyl Siding that you can expect to last. 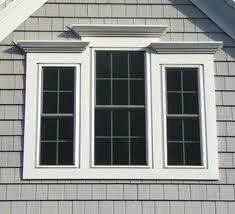 You will love our excellent products that can improve your curb appeal. It meets all industry wind standards and resists dents, hail damage, fading, and scratches. Performance Roofing will evaluate your needs and provide you with the best solutions for your Siding. Our Quote is a must! Call (207) 676-2500 to schedule an appointment, or schedule your consultation online without even picking up a phone! We’re fully licensed and insured, and our installation professionals have an average of 15 years of industry experience. When you turn to Performance Roofing for your new vinyl siding needs, you can rest assured that you’re doing business with one of the most reputable and experienced home re-modelers in the Portland area. In fact, we’re so confident in the quality of our work, we include a labor warranty on the installation we perform. If you would like to learn more about our selection of new vinyl siding, please e-mail us today. Along with siding, we offer Metal Roofing, Asphalt Roofing, Windows and more. We serve homeowners in Berwick, Eliot, Lebanon, Sanford, Kittery, York Maine and Surrounding Communities. and other surrounding cities. As with all design questions, this is ultimately left up to the homeowner. There are some established schools of thought. One is from the perspective of curb appeal. When you are driving on your street into your driveway, the laps should not be seen. With common paths of travel, such as from rear entry doors of decks, one thought is to have the laps not visible when leaving the house. Ultimately, the laps will be visible from one perspective. It is suggested to have them visible from the perspective with the least travel, and the direction that makes the homeowner happy.